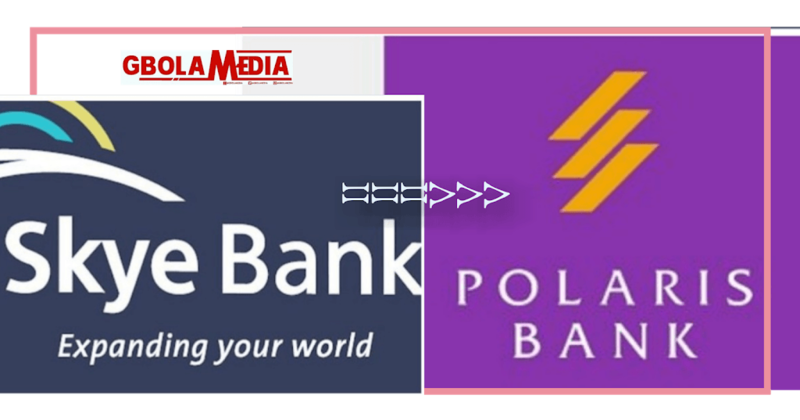 A prestigious financial institution in Nigeria, Skye Bank’s Licence has recently been revoked by the Nigeria Apex bank, ‘Central Bank of Nigeria’ and renames the revoked bank (Skye bank) to Polaris Bank Limited. The banking revocation was announced by Mr. Godwin Emefiele who is the CBN Governor and MD of Nigeria Insurance Deposit Corporation (NDIC) in Lagos state at a media briefing. The taken over was automatically confirmed after the official twitter username of Skye Bank was changed to Polaris Bank Limited. But Why was Skye Bank’s Licence Revoked And Taken Over By Polaris Bank limited? This is the question that flood the social media after the sudden disclosure and I also believed their a reason for that. According to the CBN Governor, Skye Bank Licence is revoked due to inability of the bank owner to shore up the capital of N350 billion intervention received by the revoked bank in July 2016. Emefiele added that Skye Bank need urgent recapitalization because they can no longer operate as a financial institution in Nigeria on ‘borrowed times’ with indefinite liquidity support from Central Bank of Nigeria, CBN. Central Bank of Nigeria had also injected the sum of N786 billion with the Asset Management Corporation of Nigeria (AMCON) in order to comment sales processes in the new bank, Polaris Bank Limited starting from Monday, 23rd of September, 2018. Is Skype Bank’s License Revocation And Renaming to Polaris Bank Limited Helpful or Not? The only reason revealed by CBN is that, they can no longer inject or lend funds to Skye Bank anymore because the owner and the entire bank management is unable to returned the money lend to them since July 2016. To save you (as ‘customer’) and CBN funds not to be wasted into non-profitable bank again, I think you guys should be happy because CBN made the right choice. The Licence revocation didn’t affect anybody (I don’t know about the bosses) but the staffs of previous Skye Bank will still remain as Polaris Bank’s staffs. After Skye Bank’s license revocation, their share price increased by 4.05 percent at 77 kobo which shows good start for Polaris Bank limited. ‘Polaris Bank’ is not really a new bank but Skye Bank reformation bank by Central Bank of Nigeria and we can say it’s owned by CBN. So tell me how they will fall into dept again? The bridge bank, Polaris will start sourcing for investors to buy out AMCON after full operation on monday. But, what do you think about this new development? Do you think Polaris Bank will perform more than formal Skye Bank? Kindly let exchange interesting comments and memes using the comment box below.